The following guide explains how to customize your main order page and views within One Stop Order Processing. This feature is available in the Lite, Professional, Premium and Enterprise subscriptions of One Stop Order Processing. 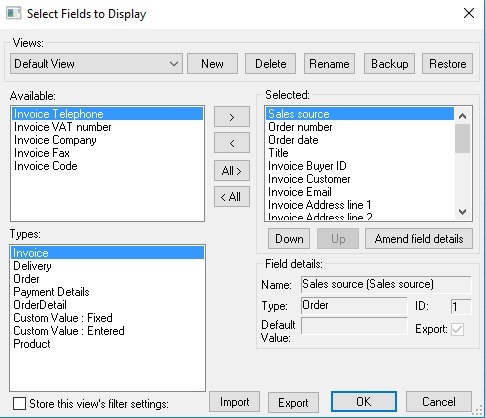 For a full video tutorial on how to customise your mail order page and views within One Stop Order Processing, click here. 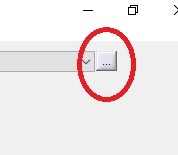 You can also customize what you want to appear in the fields, you can do this by double clicking on the name in the selected box and the following dialog box should appear. 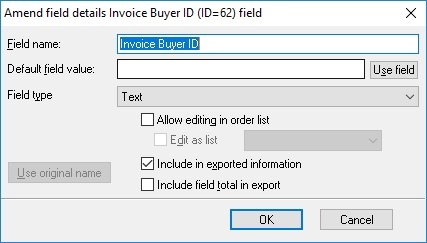 You can then use the "Default Field Value" Field to enter your custom information, for example, you can set the "listed on" field to always contain Ebay.